Wednesday 8th July 2009 sees the start of the npower Ashes Test cricket series between England versus Australia. 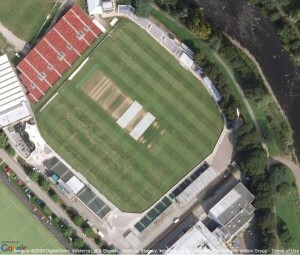 The 1st npower Ashes Test cricket match takes place at Glamorgan’s SWALEC Stadium at Sophia Gardens in Cardiff, Wales. The 1st npower Ashes Test match will be a historic event – the first time a “home” Test match is played outside of England. The England versus Australia Ashes test cricket match in Cardiff is a scheduled 5 day cricket test match.